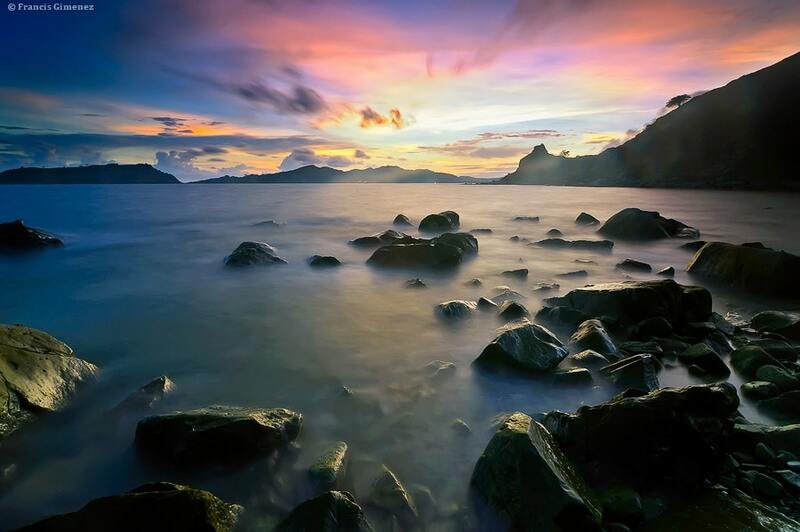 Undiscovered beautiful places in the Philippines are found throughout the country. These five Philippines destinations should be on your list. With over 7,000 islands and many underrated destinations, you’re sure to discover a hidden tourist spot in the Philippines. 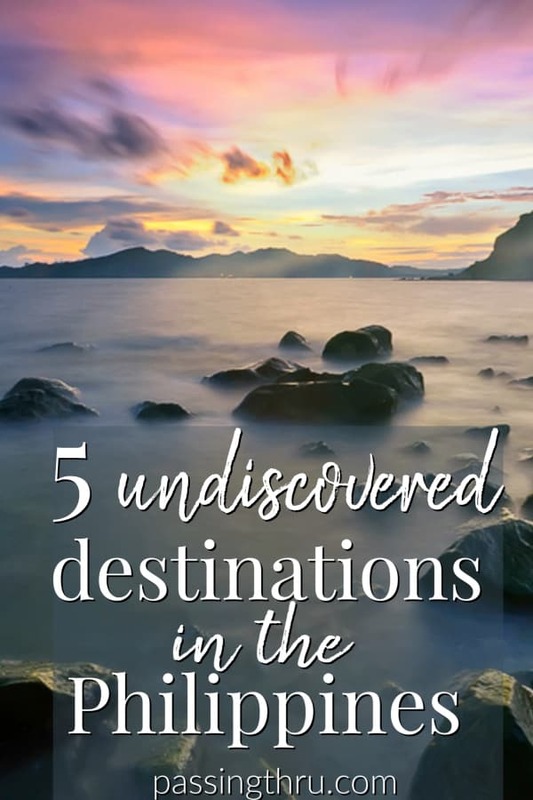 Undiscovered beautiful places in the Philippines aren’t necessarily far from the top Philippines tourist attractions, if you know where to go. Our guest author, Anna Timbrook, has selected five beautiful spots in the Philippines for you to consider. Thanks to several travel lists and heightened tourism all over the world, there are popular Philippines islands that get lots of attention. For example, Boracay has long been hailed as a top tourist destination in the Philippines. Palawan, Siargao and Cebu also vie for best tourist spot in the Philippines because of different attributes. Each island is a province on its own with a great mix of city, town, and nature. Tip: Check out our post, Philippines Travel for Beginners, for those who are are traveling to the Philippines for the first time. For first time travel to the Philippines, a two-week itinerary is an excellent introduction. Smart planning with sufficient time to see the best places to visit in the Philippines is the key! But what if it’s your second, third, or maybe even tenth time in the Philippines? Or maybe you just don’t want to join the thousands of people who visit the top tourist spots in the Philippines every year? Well, you’re in luck! There are many, many underrated destinations in the Philippines that are just waiting to be discovered. From beaches to mountains and rice fields to terraces, Philippines sightseeing offers excellent experiences for the adventurous traveler. Romblon is a province made of 20 islets. There are 17 municipalities spread among these islets and, as they’re geographically separated by water, each has developed their own dialects. If your idea of one of the best places to go in the Philippines consists of unspoiled and not frequently visited, Romblon province might be a good choice. The capital, also named Romblon, is the heart of the province both in terms of economy and in terms of travel. It’s best known for its main export to the rest of the country thus earning its nickname the “Marble Capital of the Philippines”. 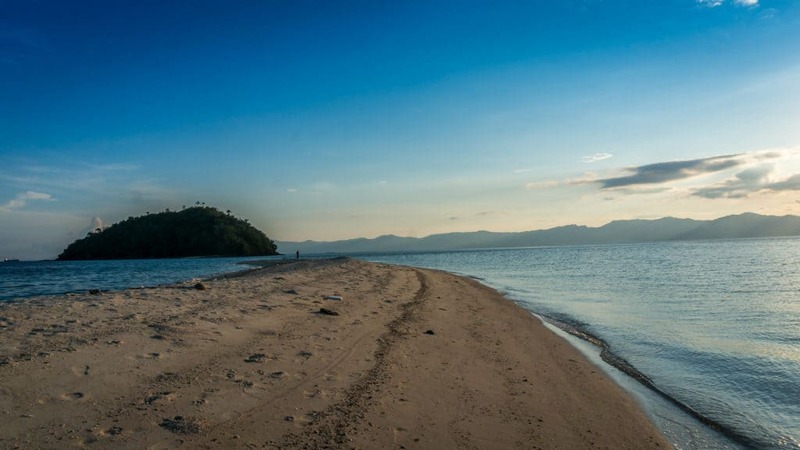 There are three major islets in the province: Romblon Island, Tablas Island, and Sibuyan Island. The province is reachable by air from Manila to Tablas, or by an overnight ferry from Batangas to each of the islands. Seems fair, but the main reason not many people visit the province is the scarcity of transportation. Only Cebu Pacific flies directly to Tablas three or four times a week, and the ferry rides last for up to 20 hours at a time. Traveling there can sound quite tedious, but the rewards of the islands are beyond measure. There aren’t many commercial establishments around Romblon. You won’t be seeing luxury resorts here. Many of the accommodations are owned by locals that offer homestays or AirBnB’s run by foreigners who fell in love with the islands and decided to make it their home. Tip: To see a list of accommodations on Romblon, click here. The crystal-clear blue waters are a given, but what people really wait for at Bonbon is the sandbar that appears during low tide. This temporarily connects the beach to nearby Bang-og Island, small and deserted but exciting to explore. You can hire a local boat man (around $40 for the day) and spend your days just hopping from one islet in Romblon to another, having your own private beach picnics, and snorkeling around thriving corals. You can also spend time on land and hike to the many waterfalls (most of them in Sibuyan Island), or cliff jump into the ocean, into lagoons, and into lakes. There are sea turtle sanctuaries to explore, World War II ruins to roam around in, and lots of amazingly good and amazingly cheap local food to try. Danjugan Island is a preservation success story among Philippines attractions. This 43-hectare strip of island sits in the middle of a protected marine sanctuary and is privately managed by the Philippine Reef and Rainforest Conservation Foundation. In the 90s, the island was almost wiped out for drilling and deforestation purposes. Today, it remains as beautiful as it has always been. Biodiversity in the island is at an all-time high. Fishing is prohibited, giving life to large areas of corals and reefs. The island is also densely forested and home to many indigenous species. Visits to the island need to be pre-arranged through their website, and each visitor will go through an orientation about the do’s and don’ts on the island. The journey to Danjugan Island isn’t very straightforward either. From Manila, you can fly to the city of Bacolod via Cebu Pacific or Philippine Airlines. Once in the city, it will take a 5-hour bus ride and a 30-minute boat ride before you get to Danjugan Island. A full day tour costs Php 1,950 (approximately $38), which includes lunch and free use of some water equipment like snorkels and kayaks. On the island itself, there are two main accommodations: Moray Lagoon Camp with open-air cabanas, and Typhoon Beach with solar-powered private rooms. Danjugan Island may be small, but it is jampacked with marine life and biodiversity you won’t normally see in other famous places in the Philippines. Because of this, snorkeling and diving are the best activities you can do around the island. Sea turtles and reef sharks are a very common sight, as well as giant clams surrounded by all kinds of fish, shellfish, and even sea snakes. Back on land, bird watchers can look for the 73 species that call the island their home. There are several paths through the forest that visitors can follow for a great afternoon hike. If adventuring through dense forests is more your thing, head to Abra in the northern part of Luzon. It’s a landlocked province 8 hours away from Manila. It’s sandwiched between two very popular tourist destinations, Baguio and Cordillera, which is why it’s usually ignored by most travelers. However, this small province promises unique sights without the crowds and chaos of tourists. The most instagrammed location in Abra is Kaparkan Falls. It’s not the highest nor the strongest, but its extraordinary formation is reason alone to pay it a visit. Water gently cascades down terraces of rock formations into multi-tiered pools. While it’s beautiful all year round, it’s at its best in August and September where the water levels are high and you get the full effect of the site. Another must-see is Kili Falls where you can sit in a hot spring and watch fall into the icy river. The area is surrounded by boulders in the middle of the forest. Sitting in the water is quite surreal, surrounded by the sights and music of nature. Abra is an excellent destination for outdoorsy travelers, what with the many waterfalls, spring pools, rock formations and captivating mountain views. At the same time, you can roam around the town and visit Spanish-colonial heritage sites side by side local establishments with Ilokano culture on display. There are museums and churches to visit, most notable of which is the Gabriela Silang Gallery of Fine Arts. Silang, often referred to as the “Joan of Arc of the Philippines”, is a female leader of the movement against Spain. The Gallery is housed in a private home of a renowned artist, retired Philippine Ambassador Rosario Carino. It features an impressive collection of documents, furniture, artifacts, and paintings, some of which done by national artists and heroes. What used to be a 5-hour land trip from Manila is now a two-hour ferry ride. Bataan is most known for its place in history as the starting point of the Bataan Death March. American and Filipino prisoners were forced by the Japanese Army to walk 65 miles to a prison camp. From this alone, you are sure to learn a lot of history in the province. The most iconic landmark in Bataan is the Shrine of Valor located in Mount Samat bordering the province. It was built in 1970 to commemorate the fallen heroes of Bataan. The shrine is a giant cross rising 302 feet high with a 30-meter long view deck overlooking the province of Bataan. Below is a shrine, a colonnade with an altar, and a WWII museum. This complex is one of the must visit places in the Philippines, a humbling experience which tells the story of the trials and torture that prisoners endured during the Japanese occupation. Tip: WWII buffs will consider the Bataan Surrender Site Marker and the Zero Kilometer Death March Marker as must see places in Philippines history as well. A guided 12-hour tour with pickup and drop off from your hotel in Manila takes you to key sites. Click here for more information and pricing. However, despite its grim history, Bataan boasts of many sights that will make your trip a lot lighter. It’s a rising eco-tourism destination where travelers can take trips to mountains, beaches, turtle sanctuaries, waterfalls, spring formations, and bird watching sites. There are many cultural sights in the province, including Las Casas Filipinas de Acuzar – a sprawling property with a collection of old Spanish homes uprooted and transferred to the resort. Click here to see reviews and book accommodations of the onsite hotel. History and architecture fans will enjoy a guided experience visiting 21 vintage homes collected by a local builder. Click here for more information and pricing. Since Bataan also lies between two major Philippine peaks, Mount Natib and Mount Mariveles, mountain adventures are very popular. There are many hiking and biking trails that visitors can follow, as well as waterfalls and pools to trek to. As Bataan also faces the South China Sea, there are many water-related trips to do as well. 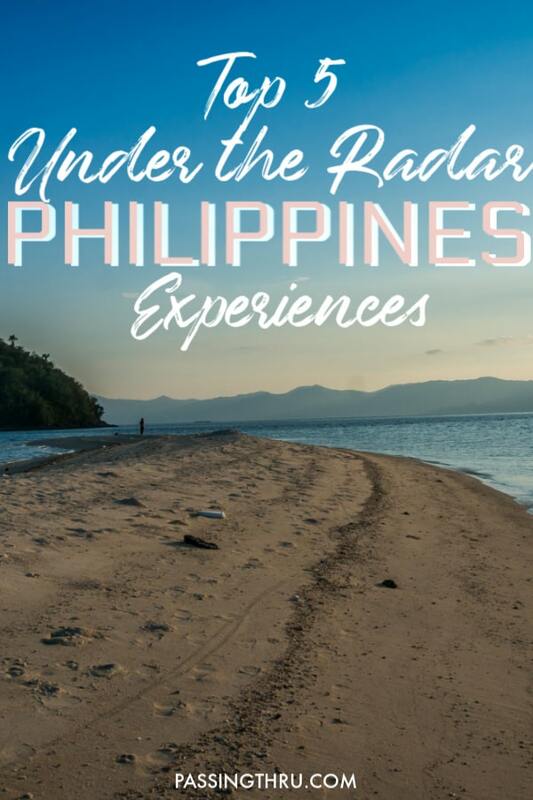 You can visit the Pawikan (Sea Turtle) Conservation Center, lounge on the many beaches in Morong, or take a tour around Five Fingers in Mariveles for cliffside views, grassy crags, blue waters, and white sand beaches. The region of Mindanao in the south of the Philippines has received a bad rap due to news of militant insurgencies and civil conflict. This mostly Muslim region has endured unfavorable reputation, but it remains one of the most beautiful places in the Philippines. While there certainly are areas where tourists shouldn’t visit, the vast majority of Mindanao is home to some of the most unique landscapes and places to see in the Philippines where safety and security have never been an issue. With so many hidden gems just waiting to be discovered, Mindanao deserves a chance to be on any adventurer’s travel bucket list. Tip: See our review of Pearl Farm Overwater Bungalow Resort on Samal Island, outside Davao in Mindanao. One such place in Mindanao is Sarangani. This once quiet little province at the southern tip of the Philippines was thrown into the limelight when its hometown hero, Manny Pacquiao, received boxing championship titles year after year. Before then, not much is known about Sarangani. 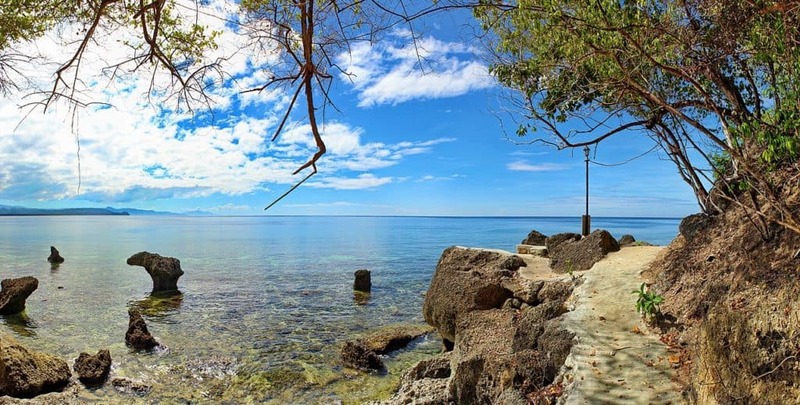 Now, while it’s not yet one of the top destinations in the Philippines, Sarangani is slowly rising in popularity as an amazing and relatively untouched travel location. 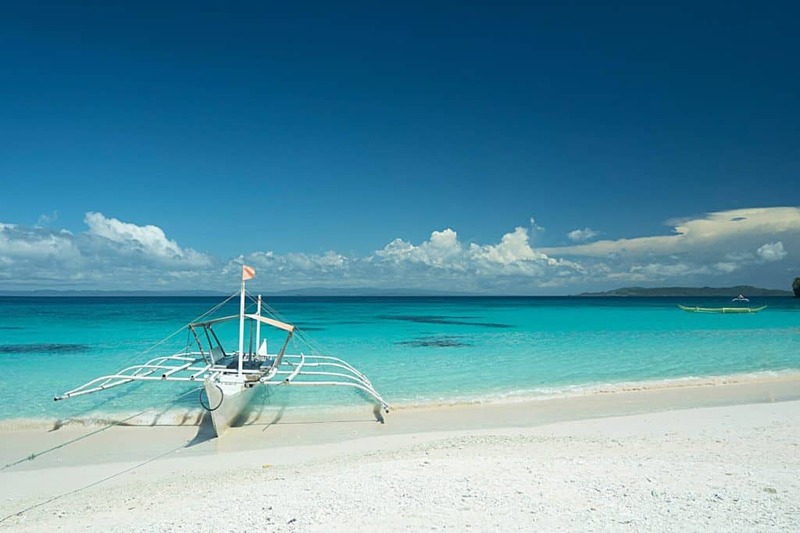 Thanks to its location right by Celebes Sea, Sarangani has countless white sand beaches to enjoy. It has six coastal towns with very few commercial establishments, giving travelers a rustic and raw experience. These are some of the most beautiful and top beaches in the Philippines, lined by dense forests for a quiet immersion with nature. Since there are few visitors, its marine life is also thriving even without much intervention. 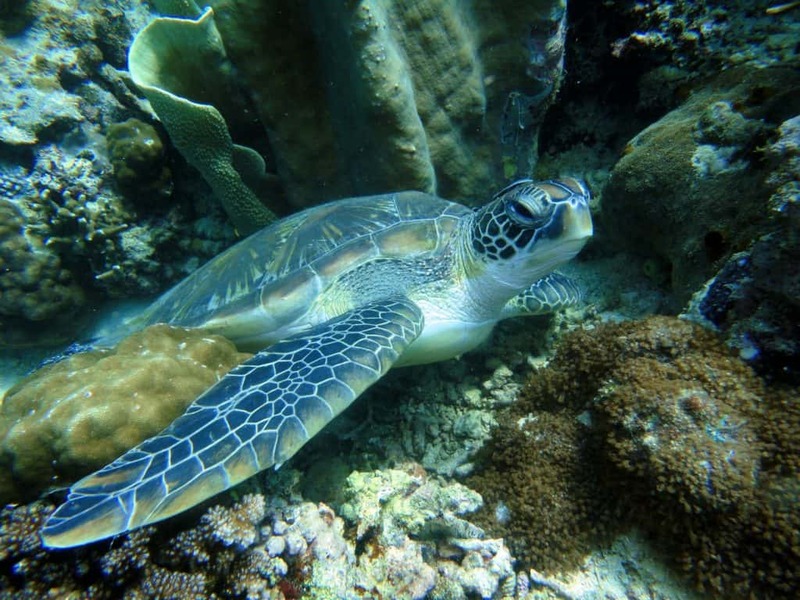 Dive spots are very much alive with turtles, whales, dolphins and tuna, Mindanao’s main fish export. There are also lots to do for adrenaline junkies. You can paraglide off the mountain top at SAFI Ranch in Maasim, which was once the site for the prestigious Paragliding Accuracy World Cup. Visitors can also ride the rapids on water tubes on Pangi River. 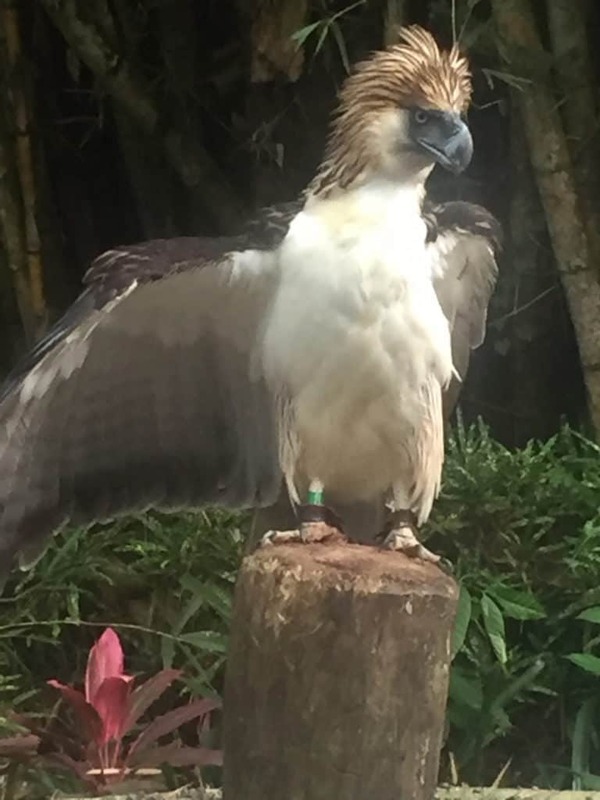 Lucky adventurers have also reported sightings of the country’s national bird, the Philippine Eagle, soaring high above. Sarangani is also rich in culture. There are several museums that display artifacts from cave discoveries and centuries-old tribes, such as the Lamlifew Tribal Museum. The main cultural gem comes from the traditional handlooms of the Blaan tribe. The fabrics and garments weaved by the tribe showcases world class artistry in very distinct and colorful patterns so you can bring home a treasured piece of Philippine culture. The country’s tourism slogan is very much alive wherever you go in the country. Filipinos are known to be warm, friendly, and always happy, and will readily welcome visitors with open arms. 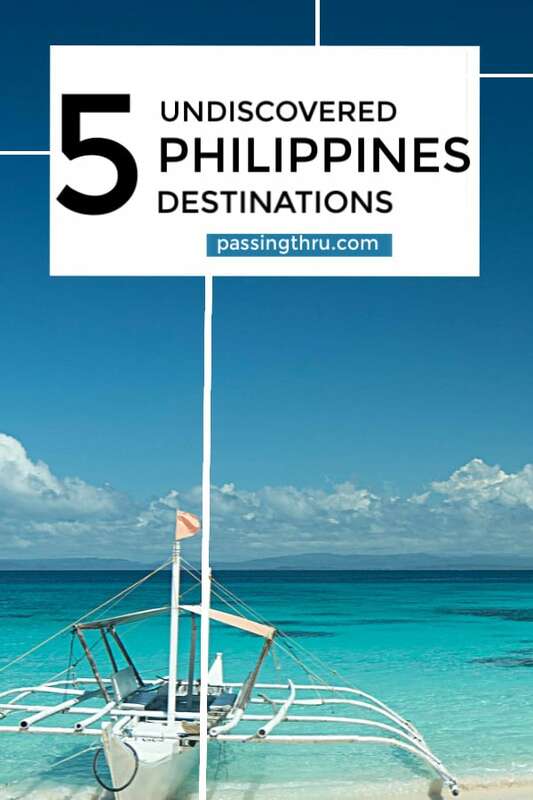 While there are must visit attractions, the best place to travel in the Philippines might be to go off the beaten path and discover new destinations that not even many Filipinos have ever seen. 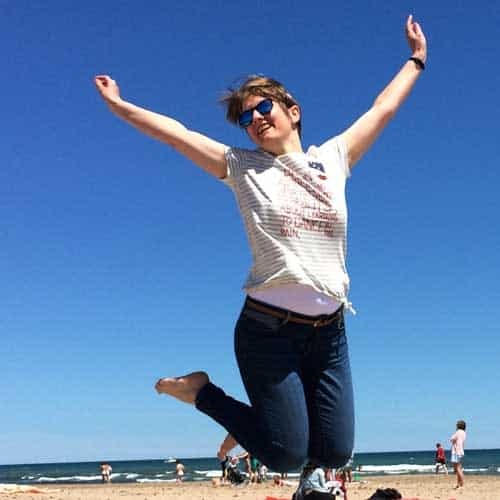 Author Bio: Anna Timbrook was born to travel the world having studied languages all her life. Although she has traveled the world, she now calls Switzerland home and spends her time writing about her experiences on her travel blog with her husband.